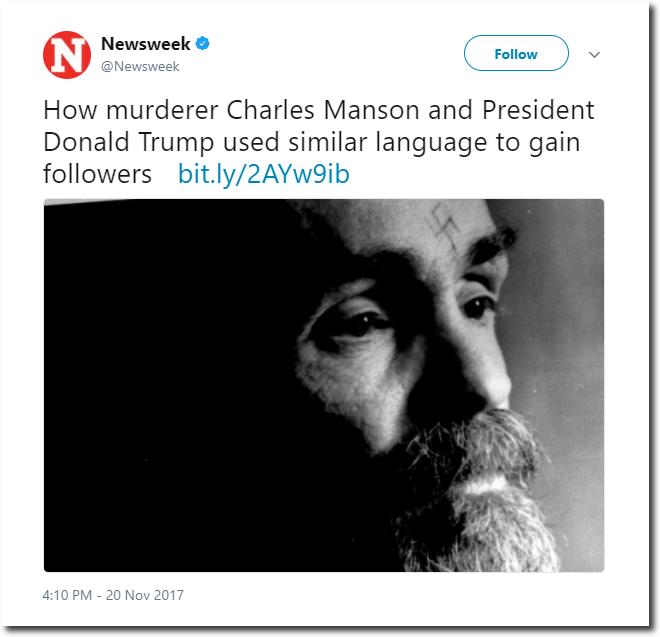 I certainly hope the mainstream media will continue their high quality and informative journalism. I’m just not seeing any similarities between Trump and Hitler, other than maybe they are/were both excellent communicators. Hitler was trying to take over central/eastern Europe and create a greater Germany. He espoused Socialism based on Race. He had the police & military round up and murder boatloads of people. He invaded his neighbors. Where is the supposed connection between the two? Kris …. look again, how can u miss it? They both drank water! 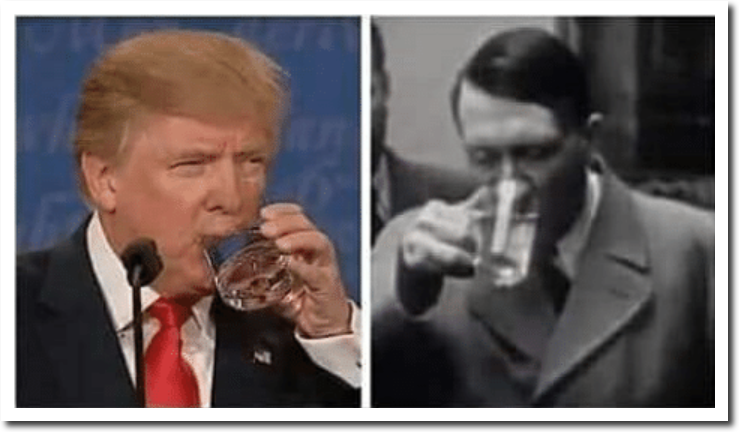 97% of experts agree Trump and Hitler both drank water out of a clear glass, using only their hand to hold the glass. The evidence for collusion is overwhelming.